In our photography journey, we have periods of exponential growth and periods of frustration. It’s part of the process and you can’t have one without the other. 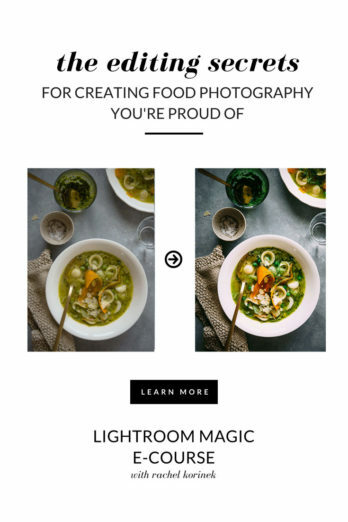 In this post I’d like to share with you why I decided to create Lightroom Magic: A Bespoke Food Photography Lightroom E-Course. Being the curious creative (and educator) that I am, I like to evaluate what is behind these periods of exponential growth. One that stood out for me is the post-production process; a period that enabled me to take my work from ‘food blogesque’ to a level that magazines want to hire. Something beyond just bumping up a few sliders, or whacking on an expensive preset. As I started to get more higher-end clients, they’d throw ‘buzz’ words at me or politely ask if we can change this and that in ‘post’? So instead of just being in the moment to capture the story, I felt nervous about the post-processing clients expected before the shoot was even finished! In order to get the job, I practiced the art of say yes and figured out how to actually do it later. Let’s just say that I learned a lot. Why am I so passionate about editing and post processing? First and foremost, it is the part of the photographic process that I enjoy the most. It is my time with my images; just me one-on-one. It is a time when my glasses are on, my headphones in, listening to movie soundtracks (like Shawshank Redemption and Revolutionary Road – oddly, two movies I’ve never seen), and being moved by the continual journey of creating through post-processing. I know how overwhelming food photography can be, so I imagine what life would be like for creatives like us if we all felt JOY throughout the entire photographic process. Editing is part of creating your final vision and adding your style stamp. When done right, it’ll turn your RAW files into POW files. It’ll help get your work noticed, commissions booked, traffic to your blog, love on Instagram and viral pins on Pinterest. But the icing on the cake for me is to help you find joy in editing. I know that sounds super dorky but editing really is the bomb! Life happens in the moment, clients or not. Money or not. To stay creatively sane, you need to be able to enjoy your craft. To feel confident and empowered at every step. 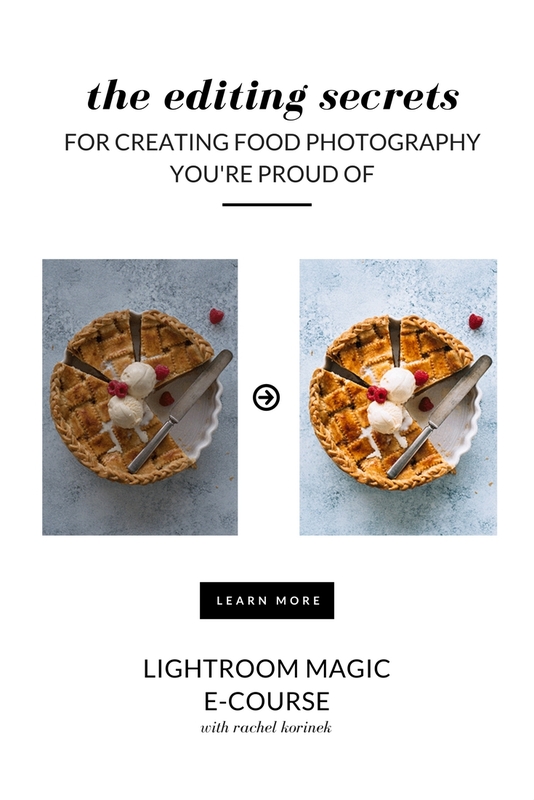 Imagine a food photography Lightroom ecourse that could give you that? Beyond relying on editing to fix poor technique. Too long I relied on editing to fix my poor technique. The result? Subpar imagery and frustration. No joy here. I used to rely on editing to fix poor lighting, distortion, a lack of shadows and the list goes on. In the end, all I ended up with was an overly (and poorly) processed image that fell flat. And flat my friend equals boring. Firstly, presets are incredible for a number of reasons. But they lose their power when we rely on them to create our work. It’s sort like using the auto function on your camera. You are letting it make decisions and tell you what you’ll be creating. Slapping on a preset and moving on because we don’t have the understanding to make it our own is losing a massive opportunity to make our work shine. To make it scream – this is me! I’m unique! Is this your vision? Or the vision of the person who designed the preset? Tired of watching hundreds of editing videos not tailored to food photography? I knew there was a better way. A better way of executing my vision and feel more confident about the process. With this beautiful age of the internet and the sharing of information, it is so wonderful that we have access to so many thoughts and ideas. 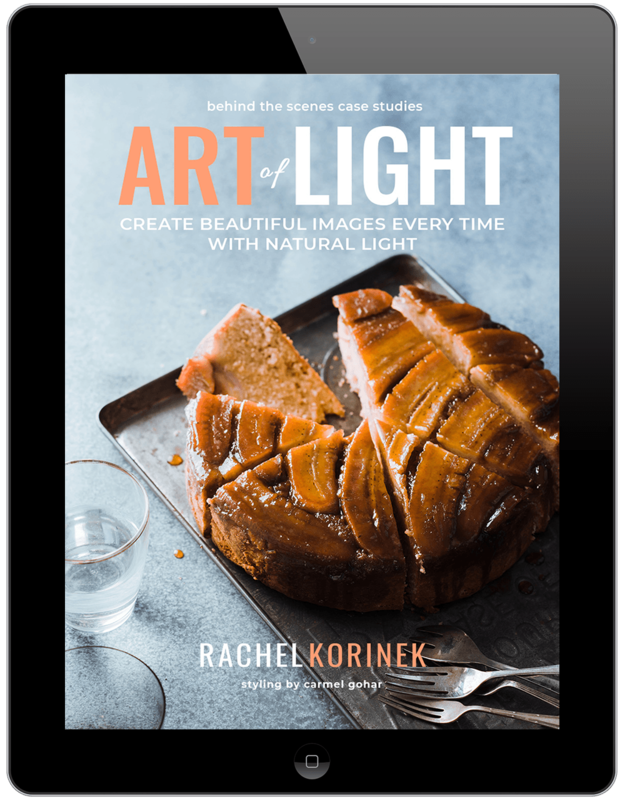 But I quickly grew tired of having to work my way through hundreds of editing videos and reading random blog posts just to pull out tidbits of information that MAY translate into helping me edit food photography. Allow me to tackle flat light in my editing process. Give me the balls to create striking images with contrast and pop. Consistently deliver bang-on white balance for my light and bright work. Feel in control and empowered. I wanted to feel CONFIDENT that no matter what scene, scenario and problem that came my way, I would feel in control and empowered by knowing how to manipulate and adjust in post-production. So confident that I wouldn’t have to think twice about it. I could look at my image, look at my histogram and where my tones were sitting and feel empowered by the choices I was making to create my final vision. Empowered me to know what little tweaks to make a powerful image. Allowed me to spend the time editing, confidently knowing that I wouldn’t end up with a dull image. Made me feel capable of going beyond the basics and not shoot in jpg and let my camera make my editing decisions for me. Feeling confident to edit magazine worthy imagery. When I started to shoot for print magazines, I would nearly have a panic attack thinking, but my work isn’t good enough for print! My focus is never good enough for print, CMYK and RGB values? What the heck is that? Previously, I could get away with slightly sub-par technique for web res, but print was a whole other ball game. There was no hiding from sloppy technique there, the images needed to shine like the glistening chocolate glaze on a Martha Stewart creation. Gave me the control to make my dishes look delicious and rich in colour. Took seemingly flat images and transformed them into bright and airy images that scream WOW. Allowed me to confidently create dark and moody images full of rich contrast to captivate the viewer. All that time, I wished there was an all-in-one resource that answered my RAW editing questions and allowed me to have a breakthrough in making my creative vision a reality. Thing is, I never found it that learning system. I had to create it. A killer food photography Lightroom course. 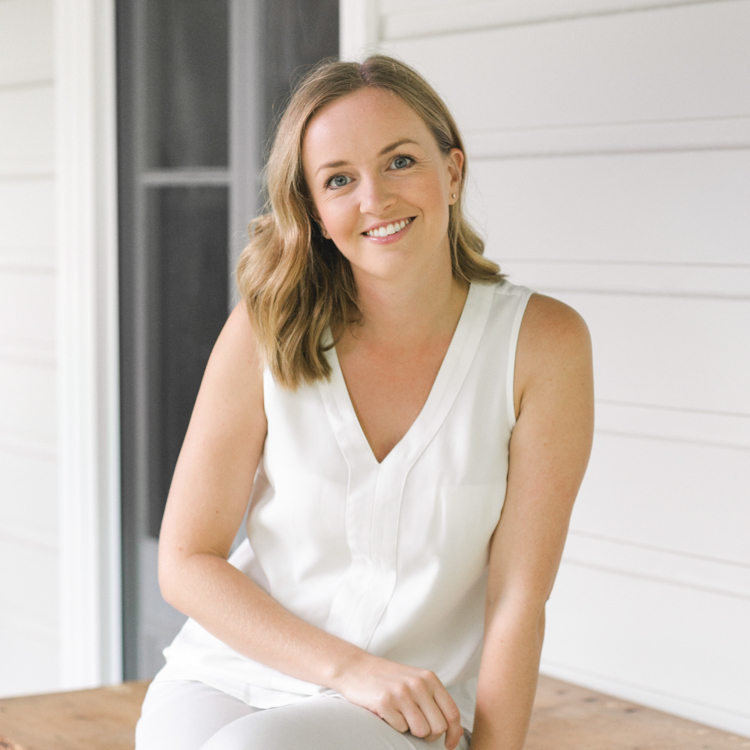 Through many years of perfecting my editing process, tailoring it to food and spending hundreds of hours scouring the web for tidbits I could translate into food photography I finally felt confident, in control and empowered with each shoot I did. I no longer rely solely on using the presets of others to make my work shine. I have a system and workflow that adds my style stamp to every image. It’s no longer a tool to fix poor technique. It’s something that brings me joy. It didn’t exist. But it does now. 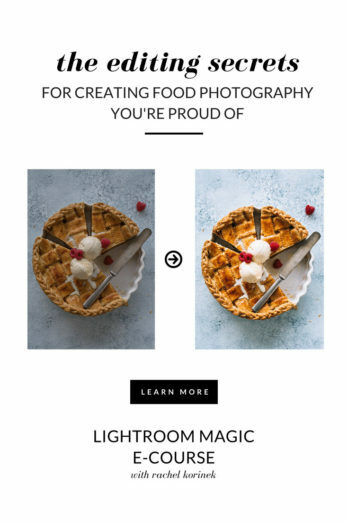 Turn your RAW file into a POW file and unleash your inner editing wizard with Lightroom Magic: A Food Photography Lightroom E-Course. I’ve worked the most passionate photographers out there just like you and I’ve reviewed hundreds of creative images from people all over the world. And I can see the love and passion in each and every shot. But you know what I also see time and time again? What opportunity they miss? What they really miss is the power of editing to unleash the pure magic of the image. 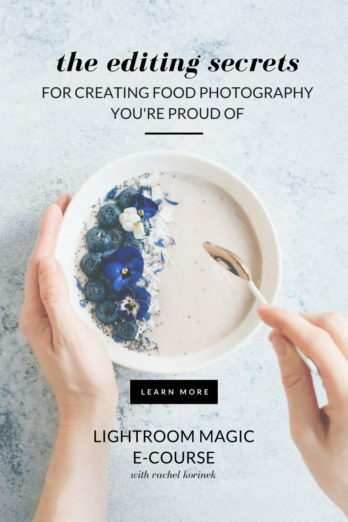 If you’re like I was, and you are searching for that learning system that will make a difference, then Lightroom Magic (a food photography Lightroom masterclass) is for you. A bespoke editing course that is tailored specifically to food photographers and doesn’t try to cover the whole dang field. Because I truly want creative rockstars like you to be empowered with knowledge and real life skills so you can start taking those amazing photos you’ve been dreaming of right now. Because when you understand what Ansel Adams says, that you make a photo (not just take it), you can unlock your incredible potential to create beautiful, ‘swooney’, magazine-worthy photos every time. Photography is more than just what you see in the frame. You’d never serve just the cake batter. You’d ice that bad boy, dress it up, make it jaw dropping. So why not give your RAW files the love and power they deserve? I send an email – to get attend to the lightroom magic course ( vip . with reduced price) but when will the course start. I can’t wait:) Coukd you please inform me how it proceeds because i haven’t got any mail about it yet. I have been doing what you just described and trial and retrial,but lacked that pow expierance,There is always room to learn,that’s where I want I have my customer base but I know with that pow I can land those great jobs.